Hunters can sometimes find themselves in the wrong place at the wrong time. The woods can be a harboring ground for fugitives, drug dealers and poachers. 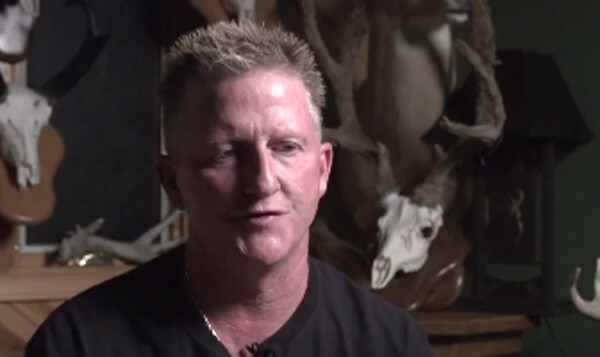 One of the most respected hunters in the outdoor television market recounted a story from his past recently when he nearly lost his life to a poacher. Jay Gregory, host of Outdoor Channel’s The Wild Outdoors, had just taken his first job as a professional golfer in Chillicothe, Ohio back in 1990 when he was given the opportunity to hunt on a private piece of property owned by one of the board members of the company. While scoping out the land a few weeks before hunting season, Gregory ran across a hunter in a treestand. In a video posted to Drury Outdoors Facebook page and shared widely across social media, Gregory described the horrifying encounter. The man came down off the treestand and started yelling. Gregory told him he didn’t know who he was and would leaving. That’s when he told him he would kill him, shouldered his high-powered rifle and Gregory started running. The next thing he knew he heard a loud noise and was laying face down in the leaves. “At that moment I remember this loud noise and this really burning hot feeling. And then when I rolled over and looked up and saw him coming at me with his gun,” he said. Gregory said he pleaded with the man, who for some reason didn’t kill him. next articleShould Your Boat Have Rivets Or Welds?